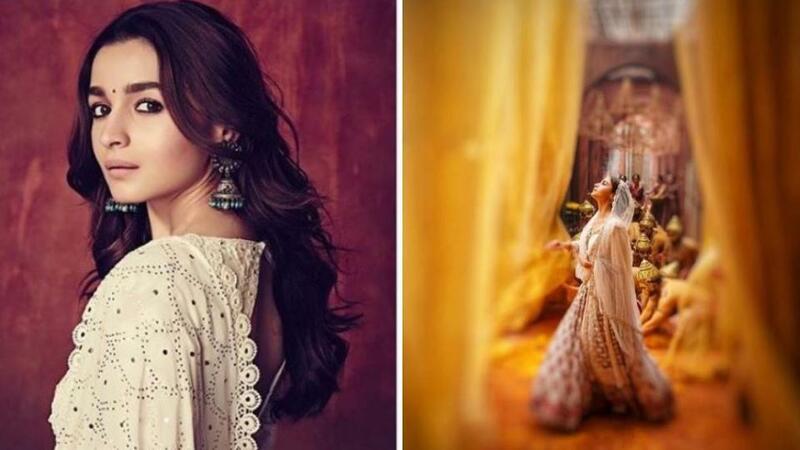 As we all know that the release date of Kalank, the big production period drama by Karan Johar is around the corner. The makers of the film are releasing the songs of the film one by one. Trust me! They are super amazing! 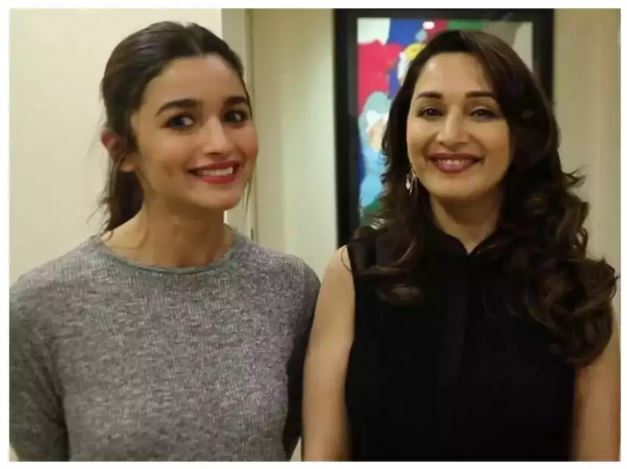 The makers of Kalank released one song named ‘Ghar More Pardesiya’ a beautiful song that witnessed the collaboration of Madhuri Dixit and Alia Bhatt on screen. 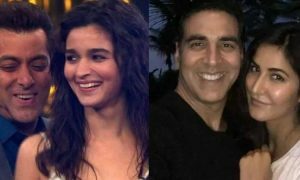 Alia Bhatt was also seen in a different avatar, as she performed a Kathak sequence in the song and that is heart melting. Now, the second song from the film was released yesterday, named ‘First Class’. The track is really interesting and super energetic. The song features Varun Dhawan and Kiara Advani grooving their legs on the beats of the song. 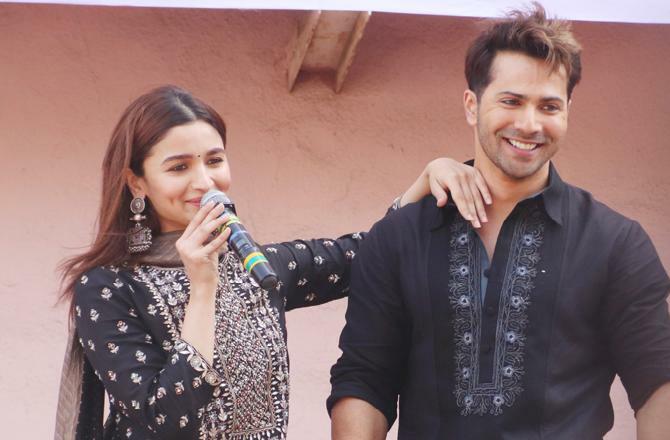 The song was launched yesterday at the ‘Geity Cinema’ and to launch the song the film stars Alia Bhatt and Varun Dhawan witnessed their presence. They both looked really excited and thrilled about the film, exactly as we all are. 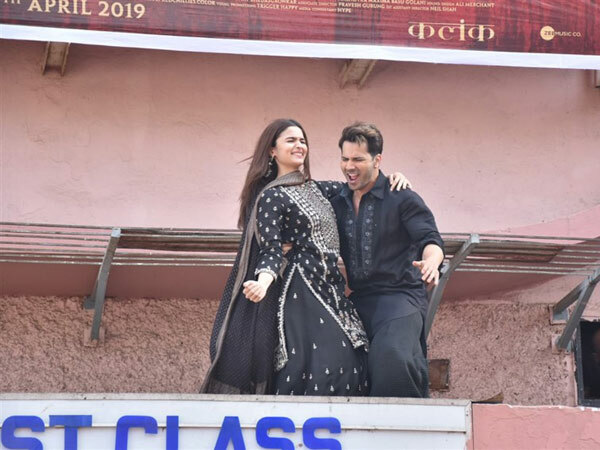 The much-loved co-stars couldn’t control their excitement during the event and got on the top of the film theater’s roof to bust out some of the moves for the crowds watching. 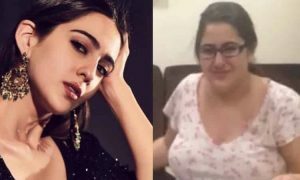 Before this, inside the theaters also, Alia Bhatt showed some of the steps from her song ‘Ghar More Pardesiya’ and also shook leg with Varun Dhawan on his song ‘First Class’. 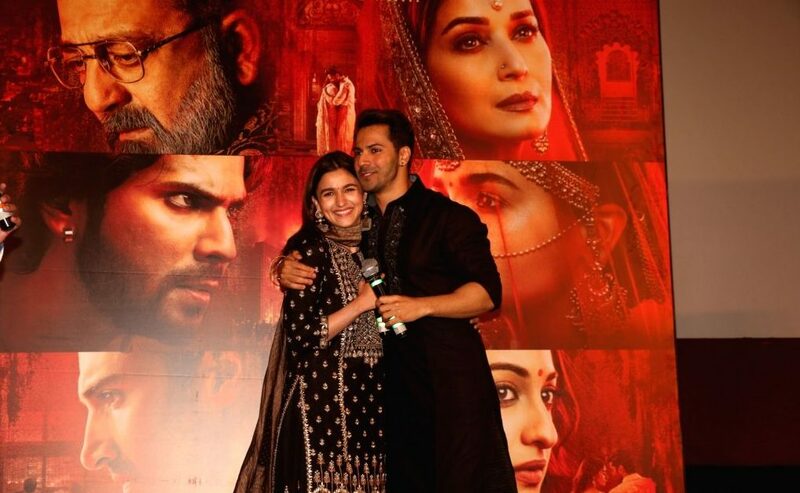 Kalank will mark the co-stars Alia Bhatt and Varun Dhawan’s fourth film together. The two debuted together with ‘Student of The Year’, which was also produced by Karan. 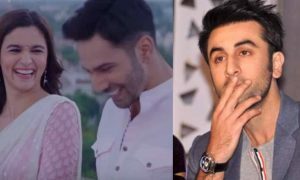 After the success of the film, the two of them went on to do other movies like Humpty Sharma Ki Dulhania, and later Badrinath Ki Dulhania. 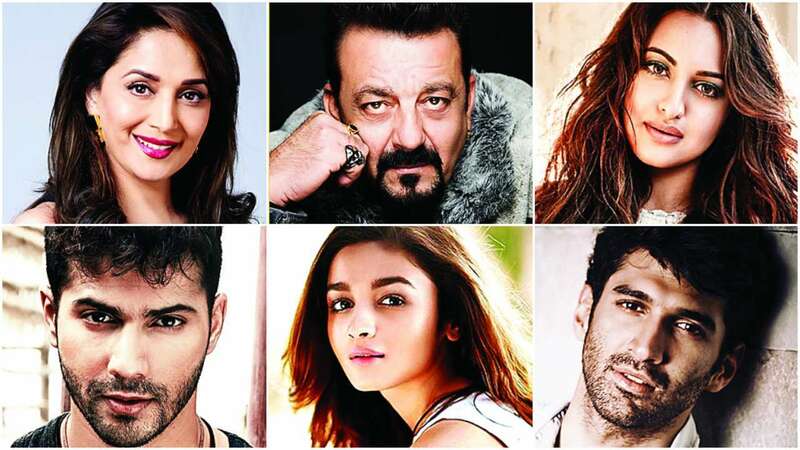 Fans can’t wait to watch the huge star cast of the Kalank, which includes Madhuri Dixit, Sanjay Dutt, Sonakshi Sinha, Aditya Roy Kapur, Alia Bhatt, and Varun Dhawan come together for the movie. In the song launch event, Varun Dhawan and Alia Bhatt twinned in black for the song release. Alia looked stunning in a black kurta with beautiful white embroidered work, which she teamed up with matching palazzo pants. On the other hand, Varun Dhawan looked super hot in an all-black sherwani. When Alia was asked about her experience of working with ‘Madhuri Dixit’ she says, she had to pinch herself a couple of times while shooting with Madhuri, especially during the few scenes in which they had to dance. The young actress also added that she would sometimes zone out a little bit and just stare at her because she’s so lovely. Talking about the movie, Kalank is a periodic drama that is based on the 1940’s fight between Hindu and Muslim. Caught in this situation are Dev, Satya, Roop, and Zafar who find themselves in this battlefield of love. 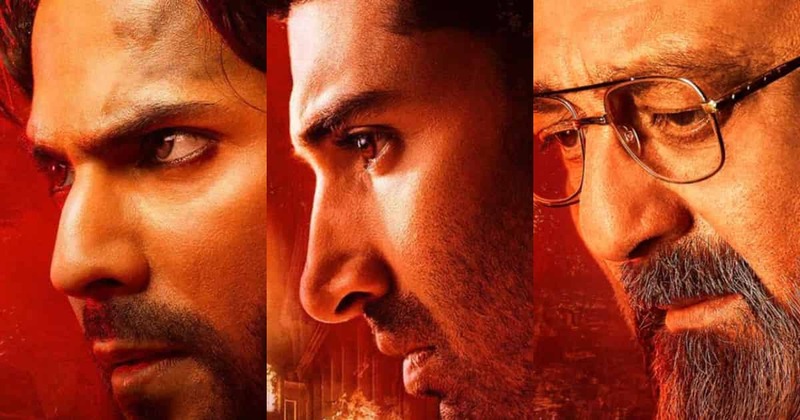 While the whole town is bathed in the shades of red, the question is – will these four see that red in violence or love? 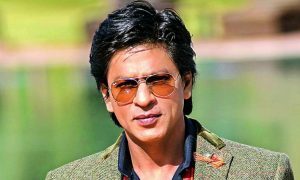 The movie is helmed by Abhishek Varman and produced by Karan Johar, Sajid Nadiadwala, and Fox Star Studios. 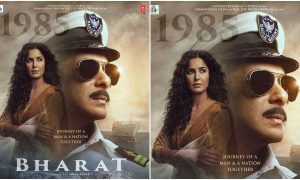 the film is slated to release on 17th April 2019.